One of the best things about Christmas is the lead up. Decorating the tree, playing those familiar tunes, carefully choosing the perfect gift and of course making the Christmas cards. 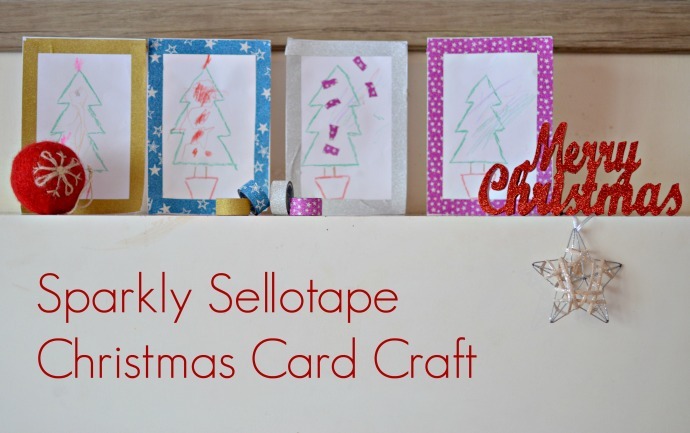 The boys are still too little to go Christmas shopping, but they love making cards for family and friends and used some of Sellotape's new sparkly range to make our cards extra special this year. Dylan has his own big ideas, Cora is still too little but Finn and Archie are at an age where they want to unleash their creativity but need a little guidance. I drew basic tree outlines for them and they then decorated them as they pleased. We used the tapes to create a bright photo-frame border around the outside. 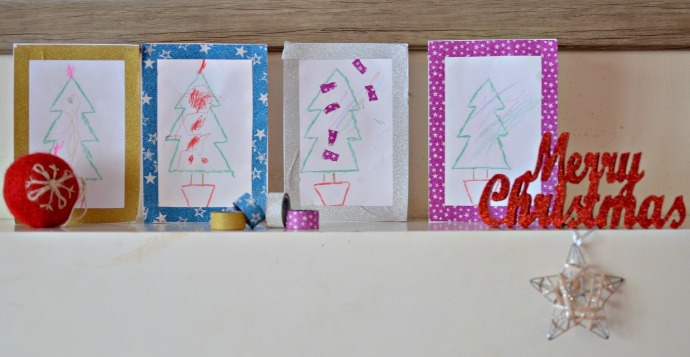 The children loved this activity and it was easy to let them get on with it, helping only with the final framing. 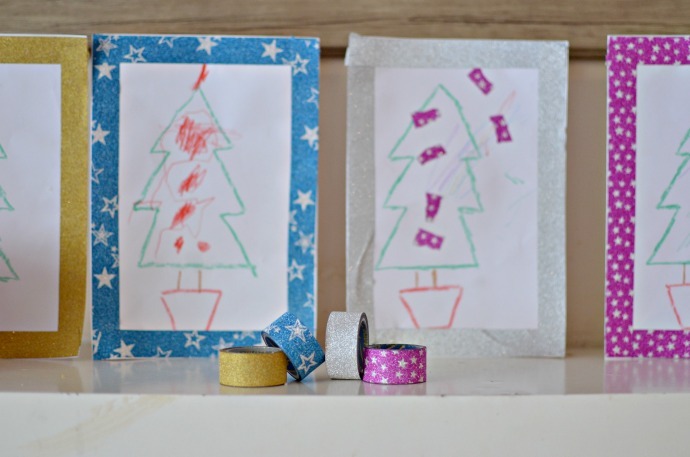 They have so many more ideas for using the sparkly tapes like decorating the toy boxes and covering plain baubles in them. 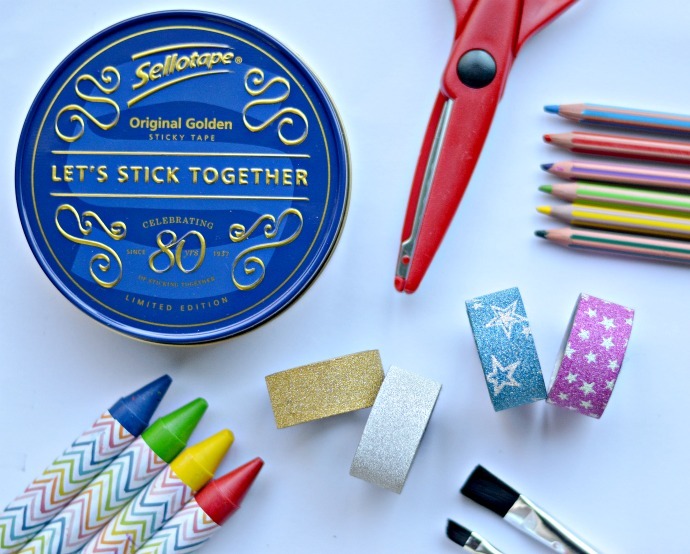 Sellotape has been a Blue Peter staple since the 1970s and a household essential during my childhood and with my own children, and I am loving how great the tin is for hiding the tell tale ring of tape from small children who have something (or someone) they just 'need' to stick together. Sellotape are celebrating their 80th birthday with the launch of these Christmas tapes as well as a special edition tin. If you want to show how you are 'sticking together' then check out their generator. 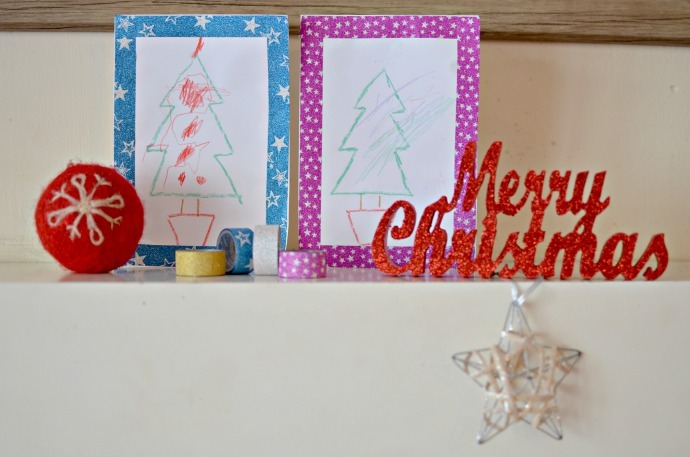 If you are looking for other Christmas crafts involving these sparkly sellotapes then check out these glitter tape baubles.